My website and podcast are dedicated to maximizing autoimmune health through the paleo diet and lifestyle. It's easy to get so caught up in the diet component that we completely ignore the lifestyle piece, but it's just as important – maybe even more so. Sarah Ballantyne, author of The Paleo Approach and a leader of the AIP movement says this: “Let me be clear: Dietary changes aren't effective in isolation. 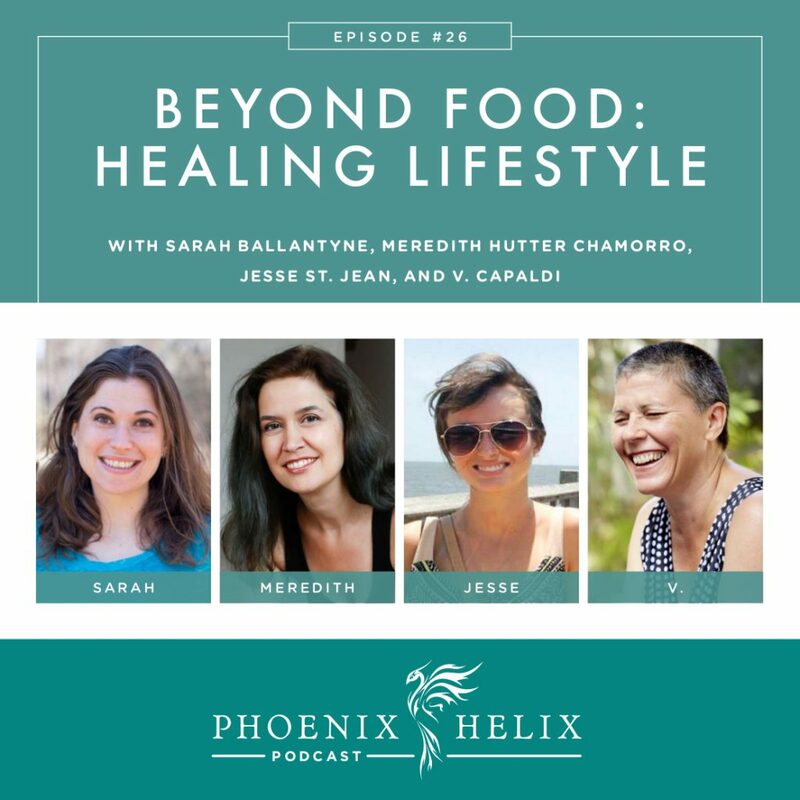 If you don't address lifestyle factors as well, it won't matter how ideal your food choices are.” In this podcast, I interview four people about one lifestyle change that has made a big difference in their autoimmune healing journey. Sarah is one of them. For anyone who hasn't started addressing lifestyle choices yet, I offer this podcast as inspiration to start today. Sarah is reversing Hashimoto's and lichen planus. She learned at a very young age that if she got less than 9 hours of sleep per night, her health plummeted. She would actually get strep throat after sleepovers. As an adult with autoimmune disease, it's become even more important, because the negative consequences last longer. Sleep is the linchpin that holds the rest of her healing habits together. If she doesn't get enough sleep, she starts getting food cravings and overeating, she loses her ability to manage stress well, and she's much more likely to flare. Even knowing this, it's an ongoing personal battle to prioritize sleep, because she's an ambitious person with lots of goals and demands on her time. She doesn't watch TV – that lets her get her work done and still go to bed at a reasonable hour. She has also learned that she's more focused and efficient with her work when she gets enough sleep, so she gets more done in less time. Sarah has focused on improving her quality of sleep by entraining her circadian rhythms. She either goes outside for a walk in the morning or uses a light box and her treadmill desk to mimic the effect of a morning walk in the sunshine. Then in the early evening, all of the lights in her house get turned off or turned down, and she uses Phillips Hue light bulbs in certain rooms (set to a dim red), which is a signal to the body that it's soon time to go to sleep. She also has free f.lux software installed on her computer that has the same lighting effect for her computer screen. And she tries to give herself an hour to wind down in the evening before bed. 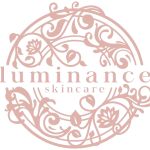 Sleep Resources: Can Skipping Sleep Cause an Autoimmune Flare? and The Go To Bed Sleep Challenge. Sleep Podcasts: Circadian Rhythms and Troubleshooting Sleep. Sarah is the author of The Paleo Approach and The Paleo Approach Cookbook, co-host of The Paleo View Podcast, and blogger behind The Paleo Mom. 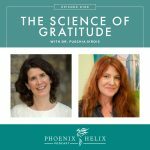 To learn more about her healing story and the AIP, listen to our interview in episode 3 of this podcast. Meredith is reversing rheumatoid arthritis, hypothyroidism and chronic lyme disease. Meditation and yoga made a bigger difference in her health than dietary changes. A mother of 3 children, one with special needs, Meredith spent years in crisis mode, taking care of them and ignoring her own health. She wasn't managing her hypothyroidism, and when she had a panic attack with her children in the car, it was a wake-up moment for her, and she turned to yoga for balance and self-care. Her anxiety went away altogether. A few years later, she was diagnosed with RA. This derailed her yoga practice for a while, but she eventually returned to it, adapting her practice according to her body's abilities. Yoga remains a big part of her life to this day. The challenges of yoga practice when you have autoimmune disease are (1) Not pushing yourself too hard and not comparing yourself to what your body could do before. (2) Finding the right style of yoga, the right teacher, and adapting your practice to your body's changing needs. Not every pose is right for every body. Meredith recommends restorative yoga for everyone, no matter what their abilities. It has an immediate and cumulative impact of reducing stress and alleviating fatigue. When it comes to yoga classes, look for a teacher who has experience working with people with health challenges. Interview them in advance. Try out a few classes, until you find the one that's right for you. If you can afford it, start with some 1:1 private yoga sessions. Some yoga styles she thinks are especially beneficial for people with autoimmune disease are yoga tune-up and gentle yoga. Yoga is an opportunity to become a student of your own body and tune in at a new level. And in time, with practice, yoga can improve both your health and your abilities. Restorative Yoga Resources: article, book, and video. Meredith is a blogger and life coach with the website She Swings On a Star. Jesse is reversing Ulcerative Colitis. Her sister, Samantha, is as well. In the beginning, Jesse had to make a conscious choice to love her body every day. It was hard to change a lifetime of disregard. She believes in “Fake it till you make it.” She would tell herself things she didn't always believe, until they sunk in and now it's natural to feel love for her body. While she still has some insecure moments, they don't last. She feels a love and patience and graciousness toward the whole of who she is, and that leaves her with a deep peace, both in body and mind. 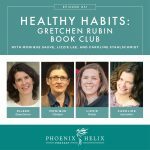 Resources: My Body Is Not My Enemy and the Self-Compassion Podcast. You can read Jesse's story on the blog AIP Sisterhood, where she co-writes with her sister Samantha. V is reversing multiple sclerosis. Fascia is a web of tissue that connects everything in our bodies – bones, muscles, skin and organs. Fascia can get stuck to our bones and cause discomfort bodywide. This is especially true when we are sedentary, or have inflammation in our bodies. Self-myofascial release loosens the fascia and releases those restrictions. V uses Yoga Tune Up Balls for this technique, and she was taught by her physical therapist. She started out just using them for her hands and saw such dramatic improvement in her mobility that she expanded to using them on her entire body. She does a 90-minute session six days/week, and she commits this much time because of its dramatic impact on her ability to function. You can start gently in short sessions and control the pressure in a way that's comfortable for you. Since bodywork can be detoxifying, it's helpful to support your body's detox pathways by drinking plenty of water, and doing simple things like Epsom salt baths or bentonite clay masks/foot baths. Yoga Tune Up Resources: Beginner Self-Care Kit, Advanced Self-Care Kit, Book: Roll Model, Sample Videos and Teacher Directory. V is a blogger and life coach with the website Paleo Boss Lady. 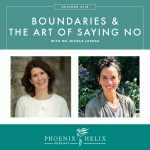 To learn more about her healing story, listen to episode 1 of this podcast. Are You a Questioner, Obliger, Upholder, or Rebel?